E-commerce marketers influence your decision making by turning your own brains against you. By creating feelings of fear, excitement or pleasure, they exploit human psychology which influences your buying behavior. Keep an eye out for these 10 methods used by ecommerce malaysia companies when you’re out for shopping. Just like the diamond industry, making something appear limited in availability raises its perceived value. Seeing “we have more than enough in stock” on an ecommerce product page doesn’t motivate potential buyers to take action. In Amazon for example, inventories are kept artificially low to take advantage of this trick. A Limited time deal is a popular tactic used by deal sites to get potential buyers who are on the fence to buy. By introducing a deadline into the purchasing decision and creating urgency, forces people to make up their minds quickly. The prices customers see may not be available after the deadline expires and the opportunity for those savings is sometimes too much to pass on. By offering to have the item you ordered to be delivered within the next day, E-commerce companies taps into the psychological trick that turns your “what if?” into a tangible reality. The Fear Of Missing Out on something valuable by doing nothing is as applicable in life as it is in ecommerce. The psychological effect of Loss Aversion can be very powerful and retailers can take advantage of this by pointing out the savings while displaying the original price next to the discounted price. It is also a form of anchoring where we latch on to the first piece of information we come across to guide our decision making. If we see for example a $100 item discounted to $70, the price suddenly seem more reasonable than if you simply saw a $70 item without a discount. Displaying several similar options at different price points is another Loss Aversion sales strategy. This is usually a good, better and best version of the product where the best option is usually reinforced by standing out or is pointed out as the most popular. What people really want is a deal, where it is next to the cheapest option, the next best choice is the offer that has more value per money spent. This psychological effect is called value attribution where at the end you buy the product that the seller wanted all along, but you feel good about it so it is a win-win. It is fairly common to see free shipping on ecommerce sites these days due to sales competition. However many of these offers require a minimum amount before you can avail. This strategy is used to increase the average orders and cover the cost of shipping for the company. Good ecommerce sites break up the anxiety that related in purchasing something online. Not only this has elevates the site’s customer service and credibility, but it has also been shown to increase the sales and customer satisfaction. Customers are less likely to be dissatisfied when the company buy the product from stands behind it. Customers are more secure with their decisions when they purchase a product with a free return or a life time warranty policy. Over 65% of shopping carts are abandoned at the checkout. Actions are being taken by Ecommerce marketers to solve this dilemma, and motivate you to complete the purchase. A study by PayPal found that 27% of online shoppers searching for coupons don’t push through with their purchase. Many Ecommerce sites are catching up to this behavior and removing the feature from their shopping carts. 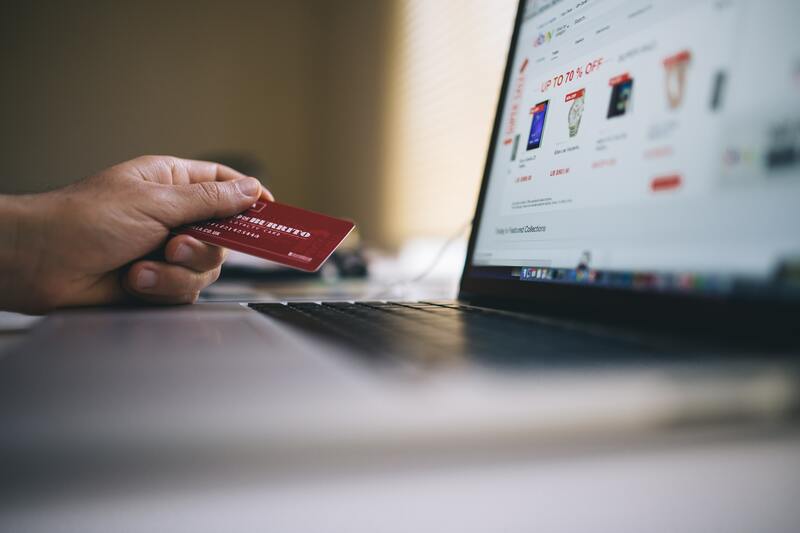 This ecommerce strategy removes the cost of time and thought where customers don’t have to fill in forms anymore, look at upsells and lessen the chances for them to rethink their purchases. People often value outside opinion when making decisions whether they admit it or not. The interloper effect is the desire for outside approval, where people think that third-party judgements are unbiased and trustworthy. Sites with user ratings often get 63% more customers that are more likely to buy from that site over ones that doesn’t. The review site EXPO stated that reviews from customers are trusted more than the descriptions from the manufacturer.